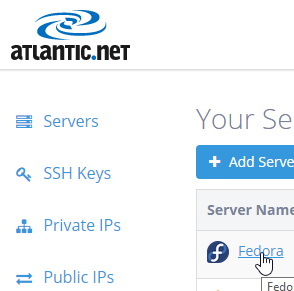 This is how to use the Atlantic.net Cloud Control Panel to reset your Cloud server password. You should have an Atlantic.Net account and Cloud server that you are trying to connect to. You should be able to log into the Atlantic.Net Cloud Control Panel at http://cloud.atlantic.net. Once you are logged into the Net Cloud Control Panel, you should see your server list. 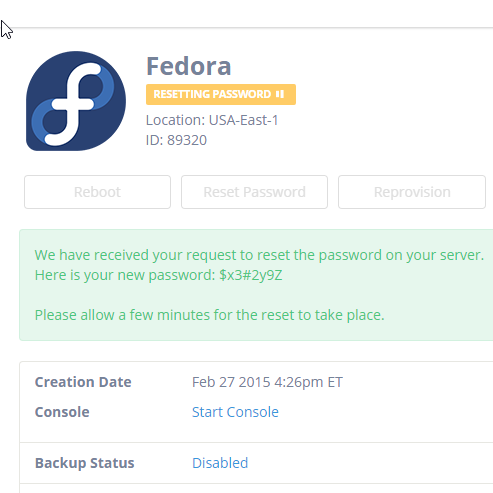 Click on the name of the server that needs the password reset completed on. 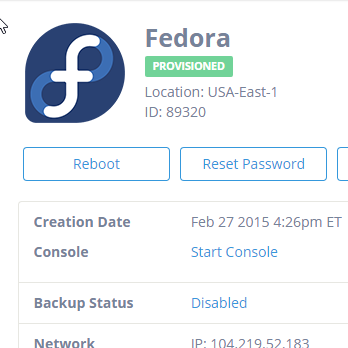 Find the row of icons towards the top of the Net Cloud Control Panel, and click on the Reset Password button. Read the message on the pop-up. If this applies to what you need, click Reset Password. Your new password will be displayed on the screen.